TUSK is back with a Pride extravaganza featuring some extra special guests! 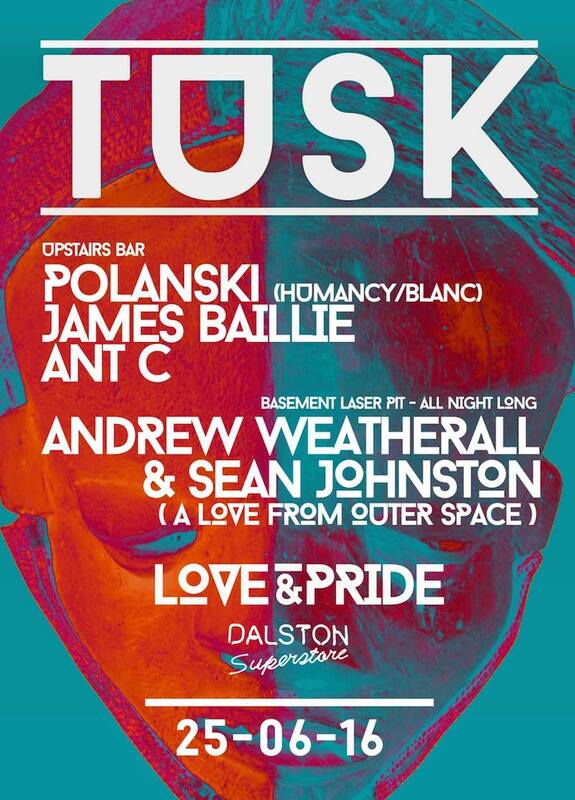 Andrew Weatherall and Sean Johnston (A Love From Outer Space) bring their acclaimed partnership to the laser basement for an all night session, while Polanski joins TUSK residents James Baillie and Ant C in the bar. Get down early, this is going to be a serious pride roadblock situation!